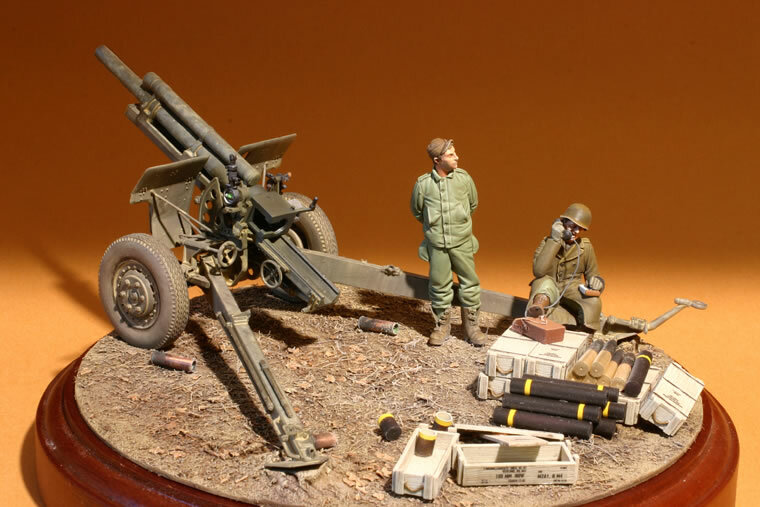 The new Dragon 105mm M2A1 howitzer is a welcome replacement for the old Italeri kit which represented the later M2A2 carriage; it has also been re-popped by Revell of Germany in other versions including a post-war Bundeswehr type. 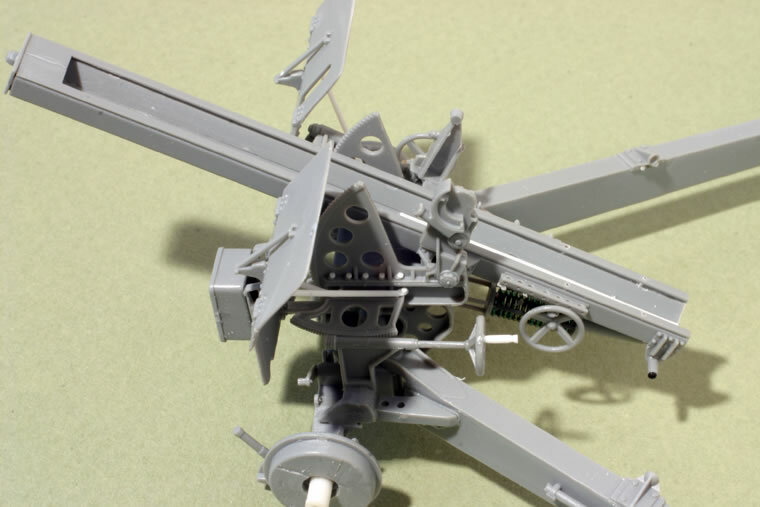 The Dragon kit depicts a mid-1943 production version with the M2A1 carriage so it has somewhat wider use for WWII modelers than the old kit. It would be easy enough to back-date it to the initial M2 carriage seen in Tunisia and the early Italian campaign. This would involve mainly the addition of the battery box on the right trail for the Warner brakes and adding the brake wiring. 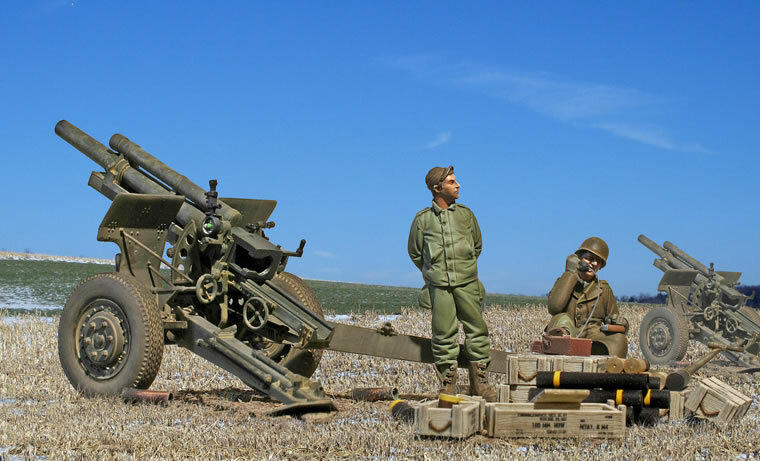 From the sprue layout, we are going to get another M2A1 105mm howitzer kit with the later M2A2 carriage and the current kit includes both the later axle and supplementary splinter shield already. Compared to the old Italeri kit (and its spawn such as the 105mm gun on the Italeri and Academy M7 105mm HMC kits), the new Dragon kit is a generation better in quality. The molding overall is much more delicate, which is especially evident in features like the breechblock and the sights. The kit comes with a lovely turned metal barrel complete with rifling. My only nit-pick is that the kit comes with the lever to open the breech-block molded closed which is a shame as the kit includes a very nice, separate breech-block. Converting this to the open position is fairly straight-forward. Other than that, I did very little to the kit except for small detail enhancements. I swapped a set of resin Masters Production wheels for the kit wheels which have the commercial tread tire; this isn't necessary, it's simply one of a number of service variations. Artillery looks fairly bland without accessories and a crew. The kit crew is basically one of the existing Dragon figure sets but they are in infantry garb with webbing which is a bit odd looking on artillery crew. I was too lazy to do a whole crew anyway, so I swapped a few resin figures. The standing figure is the Corpus US mechanic, with a head from "The Bodi" series in a knit wool cap. The seated figure with the EE-8 field telephone is a Royal Models figure with a Hornet head. The brass ammo is from RB Models while the ammo boxes and tubes are Royal Models resin. 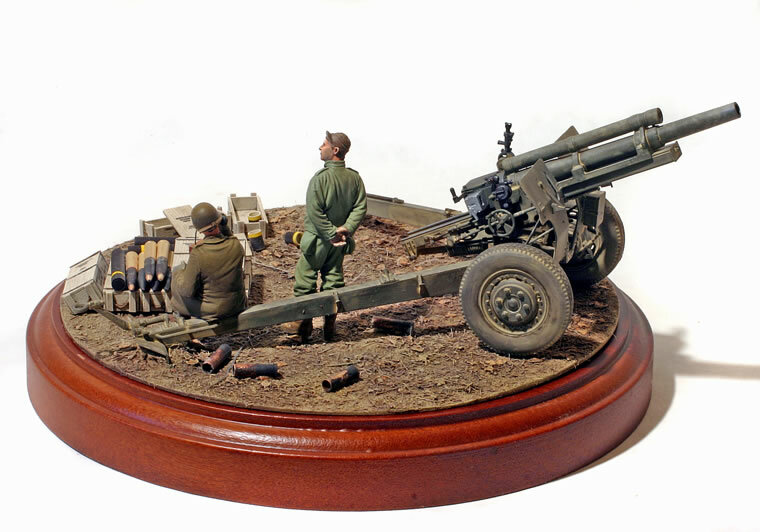 This is an excellent model and a useful upgrade to the US WWII artillery arsenal. I'll be covering this project in more detail in a Military Modelling article.